Hi guys/girls. 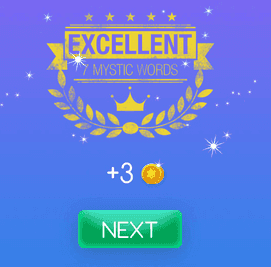 Welcome to Mystic Words Red level 7 answers. Remember to look only the answers to the clues you are blocked. There is no fun if you see all the answers before trying to solve them first. Pork’s fat 5 letters answer, click here! Solid evidences 6 letters answer, click here! Have several sides or aspects 10 letters answer, click here! Designed to reduce slipping 7 letters answer, click here! A small flock of grouse 5 letters answer, click here! For climbing up or down 7 letters answer, click here! One of the Solomon islands 7 letters answer, click here!